You’d be forgiven for thinking that this means that the scientists found viable medical ingredients in the pills. Oh, the hubris! For all our medical and scientific knowledge, we really have lost touch with nature, haven’t we? Well, maybe. But as yet, precisely bugger-all evidence has been found, as you’d discover if you read on from the sub-heading with a critical eye. Note the phrases “hopes to resolve” and “hopes to discover”. Unfortunately, this is the internet, and many of us simply skim-read to pick up the main points (tl:dr, and all that). This was no doubt the work of an editor – titles are often beyond the control of individual journalists. I’ll be as interested as the next person to see if some wonder-drug is isolated from these pills, but in all likelihood this will not happen. Before scientific testing, makers of remedies had to rely upon subjective observation to assess the effect of different pills and potions. The occasional active ingredient might have helped one patient – many of our modern treatments do derive from things found in nature. But another ‘remedy’ might have made just as many worse, and the majority of treatments will have had no physical effect at all. Most patients prior to the 19th century (and many afterward) would simply have been taking part in a form of ritual that made them feel better, without actually treating their physical problem. It doesn’t make the ancients stupid – they were doing their best with the resources available to them. It’s the ones that are still at it today that deserve that label. PS Two posts in one day? Whatever next. I’m also changing font, as I can’t be arsed to work out how to reliably stop WordPress insisting on Times New Roman. <Update> – the below kit went for 6875 Euros ($9364). “early twentieth century, with later additions”. …though they don’t specify what they believe those additions to be. This seems contradictory, as contemporary art is usually defined as post-WW2. In any case, as this is not a ‘Blomberg’ kit, with no spurious label, no firearm, and no silver bullets, this is actually a plausible enough date on the face of it. Dating of the individual components aside, there’s nothing here that wouldn’t have been familiar in western Europe post c1730 with the original reports from the east, and particularly into the 19th century with the growing number of fictional tales about vampires. The kit itself looks just about old enough for the claimed date(s), though there’s something odd about the pattern of wear on the case, which also looks somewhat bodged together – the joints at the arms of the cross for instance appear to be simply butted together. 1) ‘Genuine’ i.e. mid-late C19th, actually intended for killing vampires (their actual existence notwithstanding). 4) Out-and-out fakes of (1) and (2). I discount 1) entirely, would love to find an example of 2), and think that most if not all actually fall into categories 3) and 4). Firstly, apologies for my extended hiatus. I’ve tried to catch up on comments, but if I’ve missed anyone that’s been trying to reach me, please add a fresh comment below. 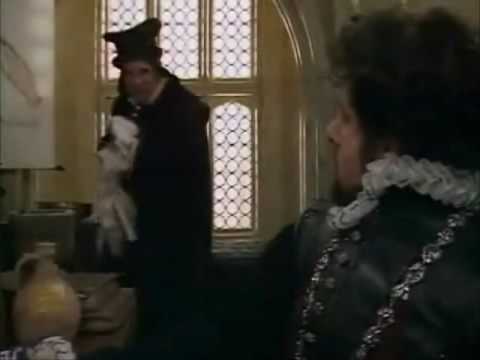 The excellent ‘Magia Posthuma‘ and ‘Diary of an Amateur Vampirologist‘ (which recently blogged re VKKs also) blogs have inspired me to revisit this subject (here’s my original article from 2007). I thought it was time that we tried to pin these kits down with some known facts and dates. 1. In 2005 a Michael De Winter of Torquay in Britain claimed to have created the first of these kits – or at least, those bearing the infamous ‘Professor Ernst Blomberg’ label, in 1972. Whilst this is anecdotal, his name, age and location all check out and it seems unlikely to me that an old man would go online to claim to have invented such an obscure class of object. In any event, this is just one, widely-known piece of the puzzle. 2. The first printed reference to the existence of the kits is really very recent, being the October 1989 issue of Guns & Ammo magazine (itself footnoted in the 1994 ‘The Vampire Book‘) and deals with a kit belonging to collector Val Forgett (now deceased) who gives no earlier date, claiming that he found it for sale at a US gun show. 3. The only scientifically tested kit in the world is that in the possession of the Mercer museum, analysed by the world-renowned Winterthur Museum. Their results showed no constituent earlier than 1945, and the Mercer place the kit into the 1970s to ’80s. 4. Firearms do appear as vampire killers in folklore as early as 1836, but this source was not published in English until 1974 (see Folklore Forum 7(4), p260). 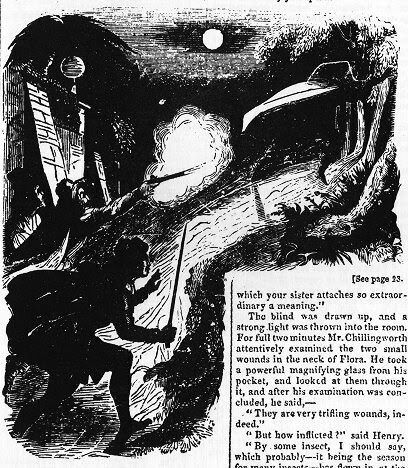 The fictional ‘Varney the Vampire’ appeared in 1847 and was widely read, but Varney was a) not known to be a vampire by his hunters, and b) only incapacitated, reviving shortly afterward. Though Emily Gerard’s non-fiction ‘Land Beyond the Forest’ and Stoker’s ‘Dracula’ (which paraphrases Gerard) both were published in 1888 and 1897 respectively, only Dracula was to become mainstream, and then not until post-1922 (once ‘Nosferatu‘ had raised the profile of its source novel). 5. Silver bullets against vampires do not appear in print until 1928 (Montagu Summers’ ‘The Vampire: His Kith and Kin’), and on film until 1959 (Universal’s ‘Curse of the Undead’). The idea would not be well-known until the years following 1973 (1978 for the US) – the year Hammer’s ‘Satanic Rites of Dracula’ was screened. NB Regarding my werewolf mistake – the earliest reference in print for werewolves dates from 1933. So the vamps have it! 6. Two vampire kits, the Forgett kit and this one, contain silver bullets marked with crosses. I have found two printed references for this ultra-obscure practice – a 1965 issue of Penthouse magazine (!) and issue #31 of the graphic novel ‘Tomb of Dracula’ (1975). All of this gives us a maximum date range of 1928 to 1989. Given that awareness of guns and silver bullets against vampires would not have been common knowledge until at least the 1960s, I think we’re looking at something closer to 1989 for that first kit. It is unlikely that anyone would incorporate obscure vampire lore into an item relying upon a high recognition factor for credibility (and indeed marketability). By the early 1980s, the idea of a vampire slayer with a gun and silver ammunition would no longer come as a surprise to many, truly opening up the market to the vampire killing kit as a product. Given that Ripley’s possess the largest collection of these kits in existence, and are generating revenue from their exhibition to the public, it ought to be possible to have some of them analysed in the same way that the Mercer/Winterthur has. Until an authenticated example or a verified reference are found, we have no reason to believe that vampire killing kits as a category of object antedate the 1960s, and are likely even more recent. In the next instalment, I’ll look at some of the kits, and the connections between them, in some more detail.